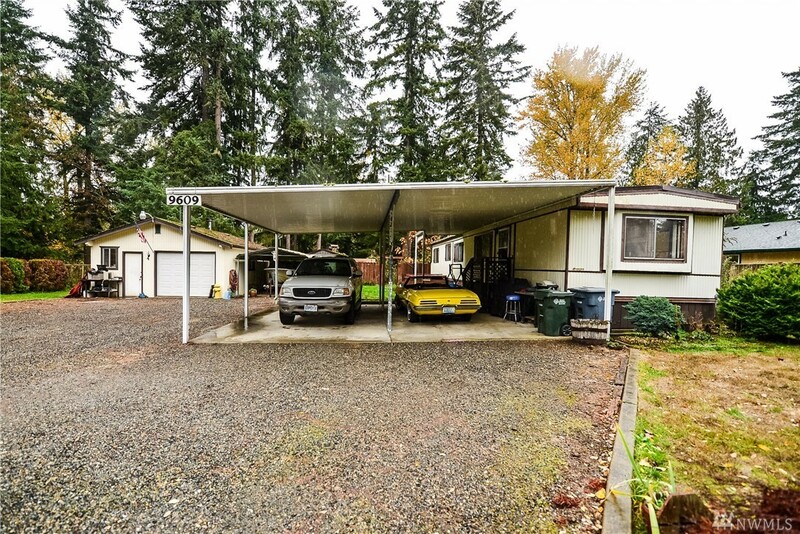 Don't miss out on this opportunity to have almost a full acre in Bonney Lake! This 2 bed 1 bath manufactured home is in move-in ready condition and is conveniently located to shopping and easy access to 410. Gas fireplace in living room. There's room for plenty of parking with 3 covered carport spaces, 1 car + detached garage/shop with wood stove, and RV parking as well. Check out this affordable property before it's gone!